You are in the middle of the savanna and you are in position where you see on the distance there is a pair of lions running towards you at full speed with the intention to pounce on you. What would you do? Well Kevin Richardson decided to stay still and wait for them to arrive. It is not because fear paralyzed him but because he knew that they were only coming to show love as shown in the following video. It is amazing to see the coexistence between humans and these amazingly beautiful wild animals. 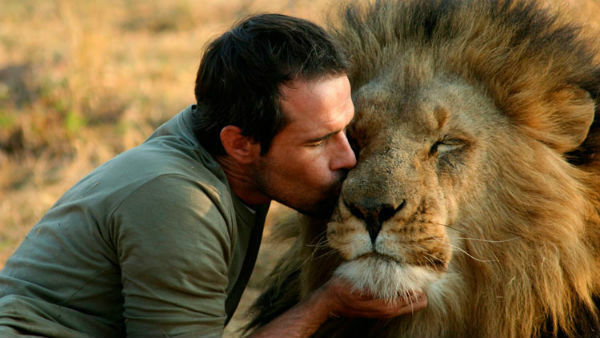 Richardson is a zoologist who has worked closely with the lions in the reserve in South Africa earning the trust and affection of the indomitable felines. According to Tree Hugger it says that the Lions just went to greet him in the morning. “I know they can kill me in a second but that does not bother me. If I came back to life, I’d do it all again” says Richardson. It is interesting that the work of Richardson with lions is helping draw attention towards conservation.